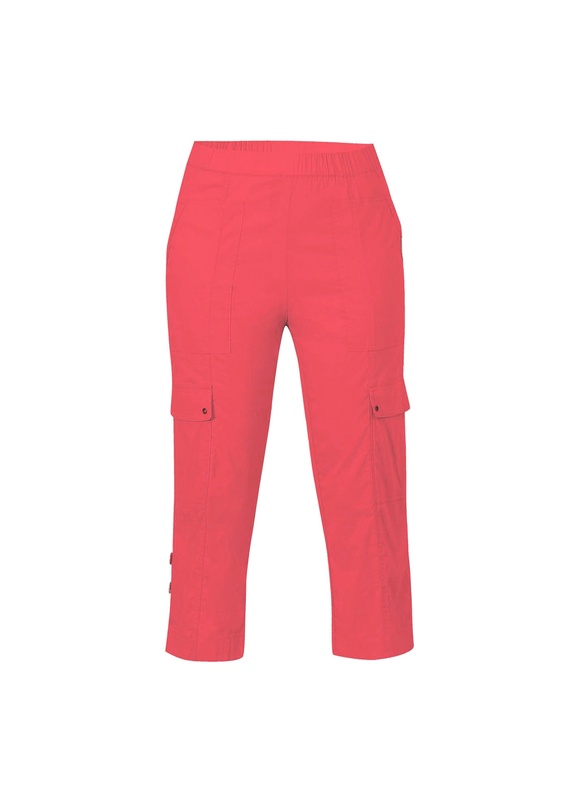 The Verge Acrobat Cargo Short (#8833) is a versatile, very lightweight pant available in White in Sizes 8-18. It is made from a fabric imported from Italy, consisting of 65% cotton, 30% nylon and 5% elastane. Great for travelling as it washes, and dries, very easily. The length can be adjusted by utilizing the tab and two buttons on each side. (picture shows the shorter ‘tabbed up’ length). It has flat, cargo pockets on each leg.